Oh the beautiful island of Koh Tao... this place will make you never want to leave! And now that TAO HUB has opened, there's no reason you have to! we wanna make your home in Asia on tropical island!!! TAOHUB is not same as fancy coworking space in cities. we have nice family community which we are proud of. 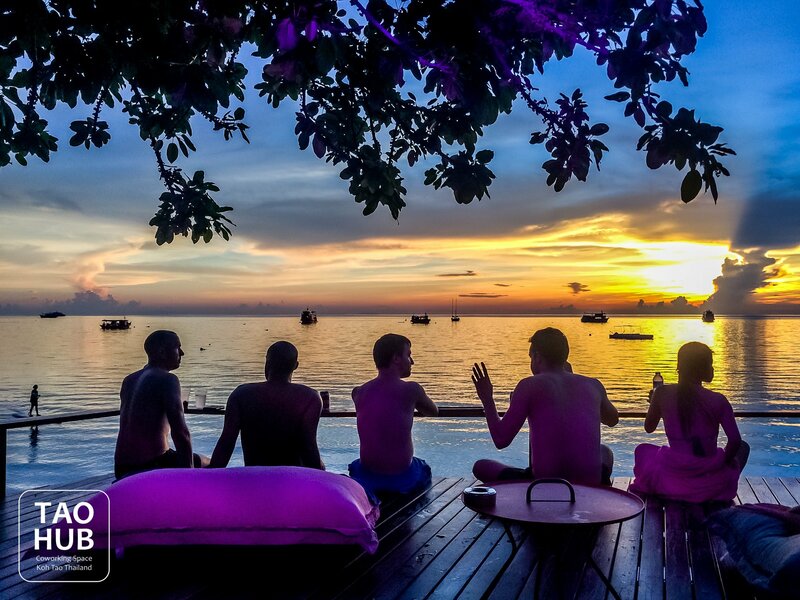 Diving, Snorkel with tropical fishes and coral, Thai boxing, Yoga, Party on the beach, dinner event etc. you can make your own daily working schedule with many choice. Koh Tao has many expat for diving industry. there are full of cafe, restaurants, bars to make your life as home. TAOHUB manage property management since 2011. we can find nice accommodation for your stay. Are you a member of TAO HUB? Si eres un nómada digital es dificil encontrar un coworking mejor en el mundo. Los servicios y la gente del coworking es excelente. La comida es muy buena, buen café. Las sillas son muy confortables y puedes trabajar tanto al aire libre como en el interior con aire acondicionado. Es un lugar muy seguro y de confianza. Además Koh Tao es un lugar excelente, buenas playas para ver corales y lugares para salir de fiesta. Buenos sitios para comer, cenar, tomar cervezas, música en directo... Un sitio 5 estrellas para pasar un tiempo aquí o para quedarte. No lo dudes más. "Great coworking space and experience! " Great coworking place. I was their for one month and really enjoyed it. The staff and community feeling are great. They have a fantastic lunch each day that is home cooked! So yummy. The internet is very stable, they recently upgraded it and the wifi is very stable.. The have battery backup so if the power does go out (remember your on an island) the internet keeps on going. They can also help you find great accommodation and arrange things for you. 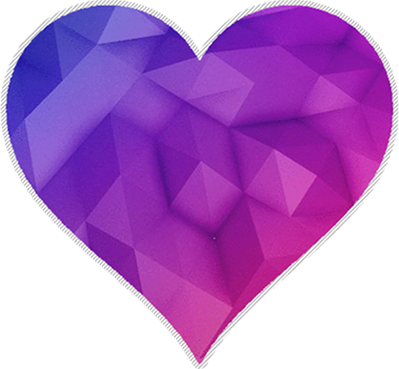 I really enjoyed my time with them, and would highly recommend TaoHub for place to work at and meet people at. I'm really going to miss being at TaoHub! I love it here, never knew what a coworking space was before i got here to TaoHub, i was the first customer and i have not stopped being here, its just a good environment. I have been using this coworking space for more than 2 years. 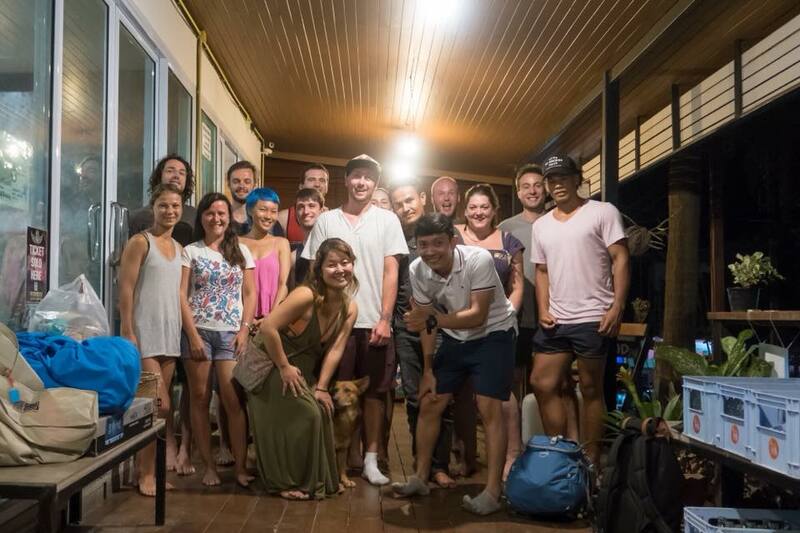 Its been very good for meeting people with different skills aswell, this might be the same for every coworking space however, I made many friends for life at this coworking space. The location of this coworking space is in in the center, so no matter where you wanna go from here, you can get anywhere with 10 minutes. Koh Tao is a small island after all, but its also a paradise. "Check it out, if you have time :)"
It is a nice place with a lot of free stuff, inside and outside area and a nice and well english speaking owner. It is next to a small road but u can go inside or wear earphones or focus. I havent checked the other coworking spaces yet but the internet here is really good like 3,5 mbps download and 15 mbps upload. i got a free day for writing a review what is fair deal. defenetly check it out if you have time on koh tao. chairs are good to, what always is important ;) yoyo good bye ,. On an island that either loses electricity or where you stay at a hostel with awful wifi this place is a life saver. Open 24hrs and full of snacks/beverages and is perfectly located. The wifi is great and the owner is super lovely. 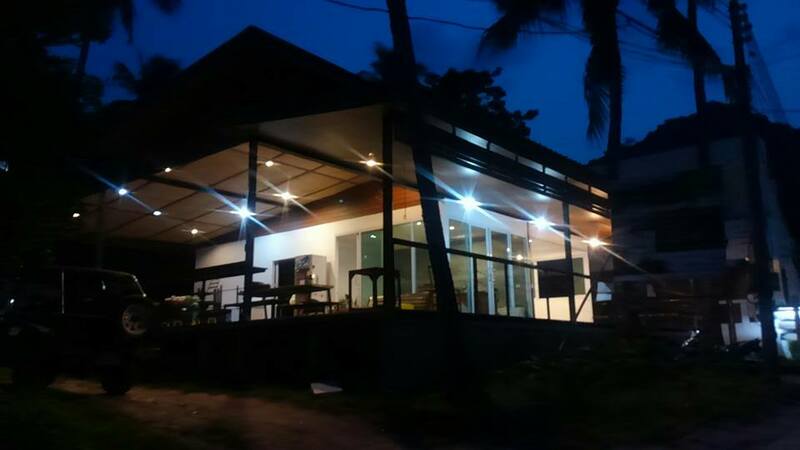 I highly recommend this place if you are coming to ko tao and you are worried about finding a place to work. There is usually a ton of space and a few faces you'll see on a daily basis but there is plenty of space to focus inside/outside or in a closed room for yourself. Thanks again! 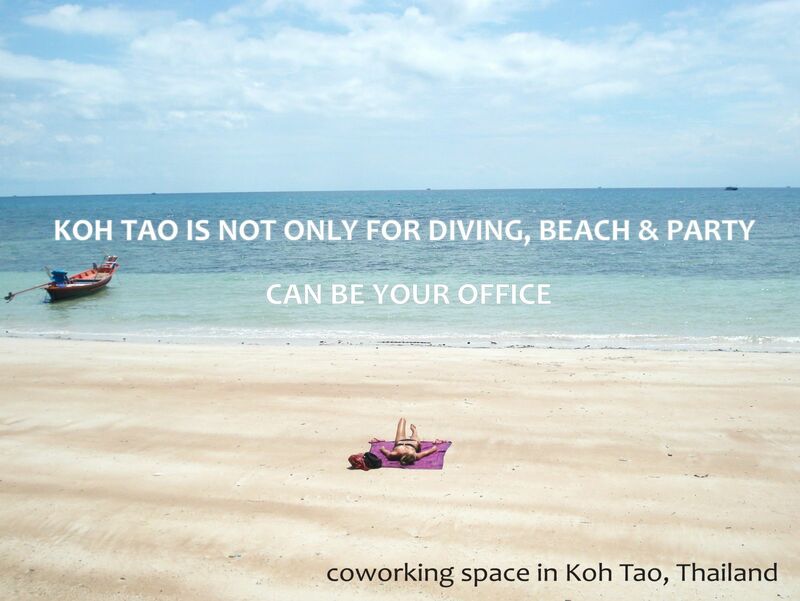 "Great facilities, speedy wifi, awesome team"
Tao Hub brings a much needed quiet and tucked away work refuge to a vibrant but often hectic island - and it's great to have the option of having somewhere great to write, work, make a call, whatever you need. Peaceful location, big outdoor desk spaces with multiple power outlets plus a great indoor space with AC also. 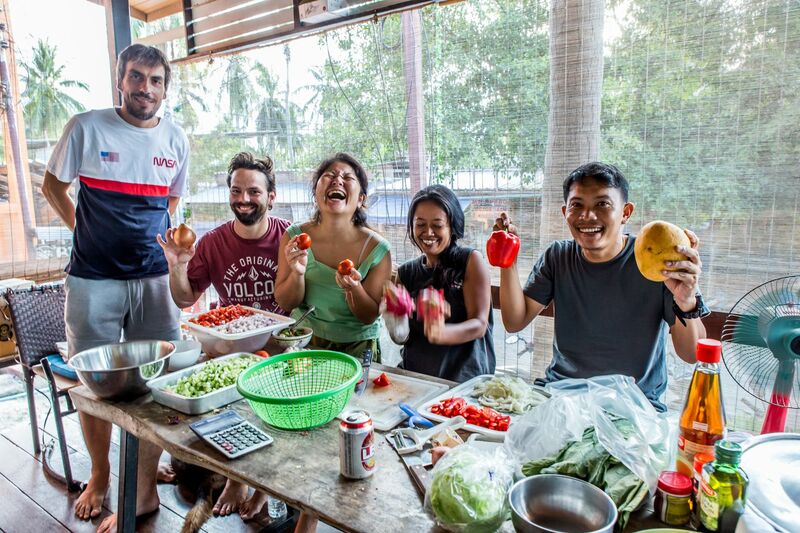 Fully stocked fridge and awesome jungle vibes, and there is solid community of remote workers here, many of whom are permanent or near permanent residents of the island. The owner, Mo, is delightful and on hand to help you with anything you need. "Nice quiet place to work"
The place is quiet enough that you can focus on your work. WiFi is also very good. They offer free coffee, tea, water and some snacks. Lot's of electric sockets for charging gadgets. The seats are comfortable as well. It's also nice that you can take food from outside and eat on your table. They also organize regular members lunch where people gather together and eat lunch and just chat for a break from work. The owner was very nice and very accommodating to guests. I will come back here again to get more work done and finish several projects.
! ! ! ! ! ! ! ! ! -- -- -- I love it ! The cooworking place has a fast wifi which is my no1 requirement.Also, premises have an aircon and is a silent place to study or work. Highly recommended. Also, the business owner is a very kind person. I loved the experience. In addition, they offer free coffee which is one of the must for me :) Thank you very much for your kindness and generosity. Looking forward to come back again.-- -- -- ! ! ! ! ! ! ! ! ! ! ! ! Quick WiFi (~20Mbit), good A/C, lots of space and super friendly owner. And cats. You can sit outside or cool down in one of the room with A/C. There is plenty of space for everyone. They offer free coffee, tea or water. They also provide different kind of services like laundry or renting a motorbike. All that makes it a place where you can get all your things done, without going to many different places. 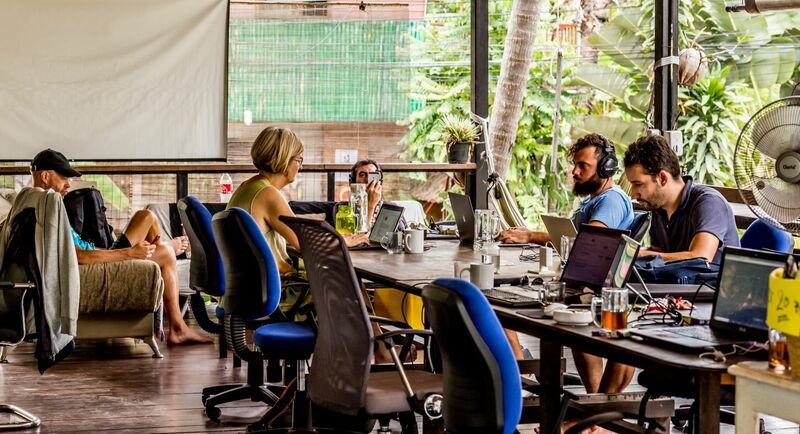 It's even cheaper than a hub on Koh Lanta, which is surprising because who would thought that a co-working space on a paradise island can be that cheap being that good. "Cute cozy space with amazing owner!" This is such a great spot to work. 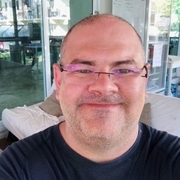 I'm not a digital nomad, but I ended up needing a quiet space late at night to do a Skype Interview- I would have been so stuck if it weren't for Koh Tao! They have everything you need, in a great location. They even offer free water, tea, and coffee. 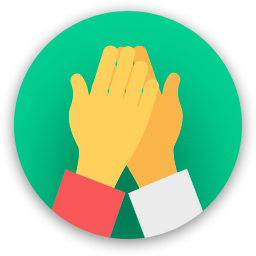 Tao Hub deserves way more than 5 stars! 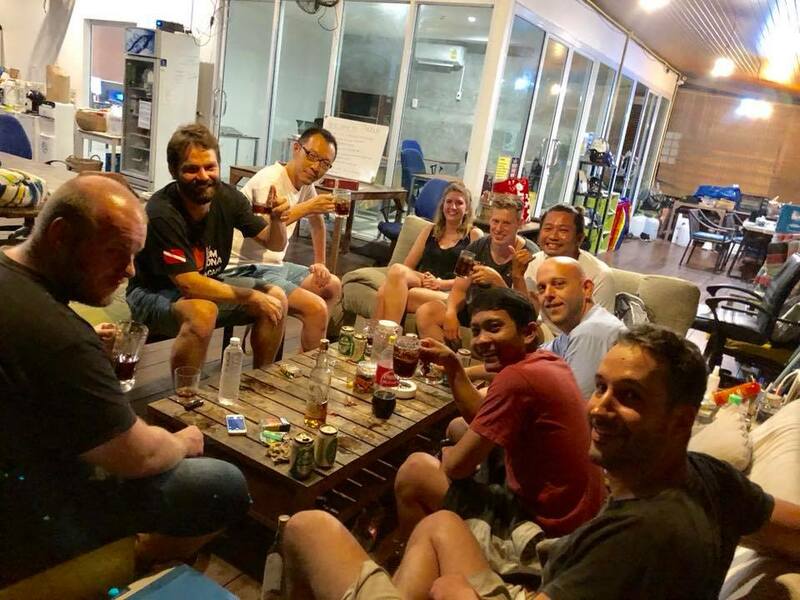 "Best place to work in Koh Tao"
Loved staying around and doing some work, wifi is very good, there's free coffee and tea, snacks and location is sweet!! Great working atmosphere, very friendly staff, All amenities such as Wi-Fi snacks and soft drinks provided as well. All in all a great place to work. Great location as well very well connected.and is located in the center of town. 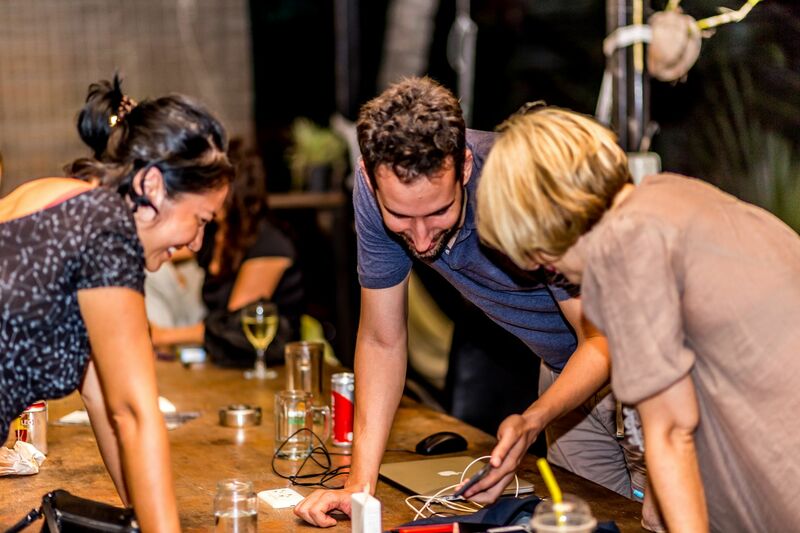 "There is No better place to get some work done if you are in Koh Tao." 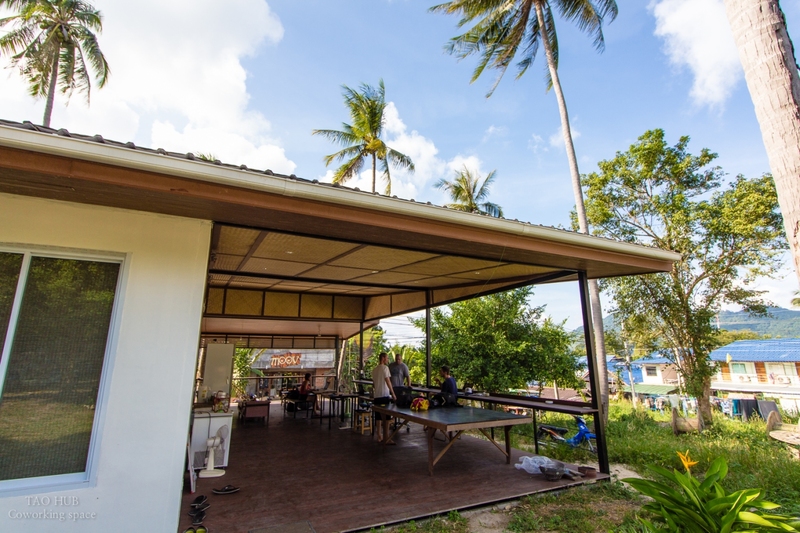 Best place to get some work done in Koh tao, wifi super fast, free coffee , free tea, outside space and also a powerful air conditioner work area. Light to work at night, and the owners really awesome :) On top of that you can rent mottobike for a very affordable price without getting ripped off with extra charge. I strongly recommended it. "Tao Hub was our home away from home"
I visited Tao Hub for a couple months with a group, and it was a wonderful experience. The owner Moe went above and beyond to help us with everything we needed, from accommodation to scooter rentals, taxis, food, and even laundry. We had breakfast and lunch there which was delicious and affordable - best deal on the island! The internet was fast, the air conditioning was cold, and the vibe was very welcoming and familiar. I loved the homey feeling of the space - a big wrap-around patio with comfortable chairs and couches. It was easy to meet people and make friends there. The location is perfect, walking distance to everything you need. The staff was all very friendly and we all became such good friends that it was hard to say goodbye! 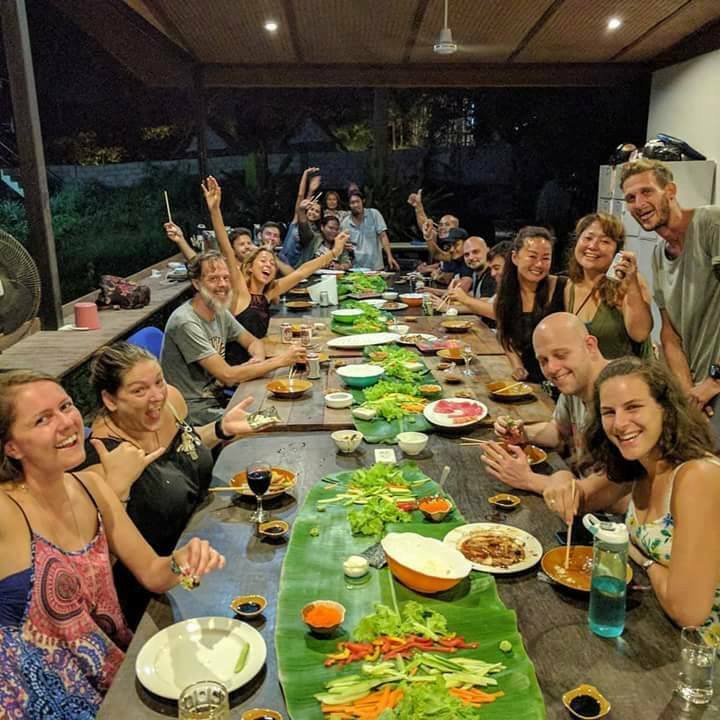 Tao Hub made my stay in Koh Tao easy and memorable, and I definitely will go back! 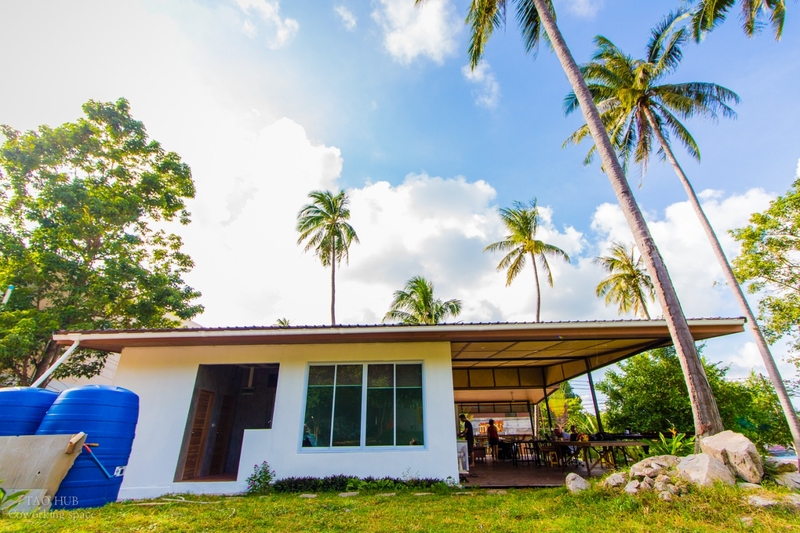 "Big open space and friendly people"
Tao Hub is close to everything in Koh Tao: the beach, the shops and restaurants in town and if you ask them about accommodation they will help you find something for your budget. The coworking space is a big terrace with fans, coworkers can take water and coffee free of charge and there are two smaller room with aircon. There are always friendly cats around and the managers are very helpful. "Airy and comfortable open space"
Comfortable chairs, big tables and lots of fans in a big terrace in Koh Tao, everything is in close walking distance from Tao Hub. The managers are really friendly, the wi-fi is good, guests can have free access to water, coffee and tea and there's a fridge with drinks at very reasonable prices. At lunch time they will prepare Thai food and guests can enjoy it for a small fee. Lots of great places to eat nearby and within walking distance. 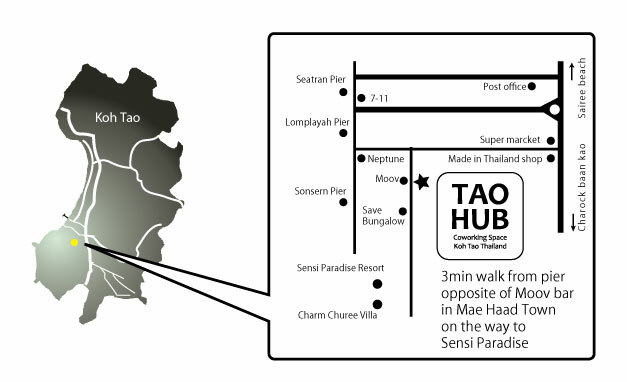 Also TaoHub an help you arrange a place to stay. Coconut Monkey is a great place to eat, they offer western food with a thai twist. They offer laundry services and bike rental! Triple B Bungalows right behind Tao Hub has great food for great prices. If you feel like you need a break from Thai food, go to Da's Sandwiches at the end of the road: the lady makes the best sandwiches on the island! Ask for accommodation prices and local restaurants that offer delivery: they know the ins and outs of the island! 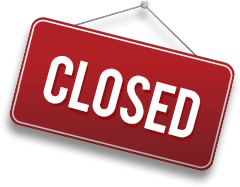 TAO HUB will be in touch with you soon to confirm. TAO HUB has received your membership enquiry and will be in touch with you soon.